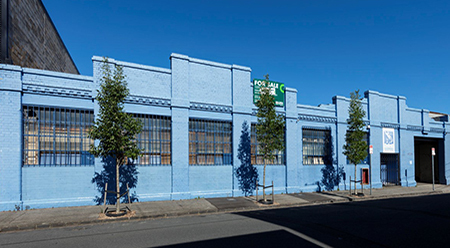 After more than a decade operating out of a showroom and office in Armadale, Artbank will this year take up residence in a large-scale new, purpose-designed warehouse space in Down Street, Collingwood. A key driver in the Australian contemporary visual art sector, Artbank has been supporting artists for over 37 years through the acquisition of more than 10,000 artworks made publicly available through an innovative art-leasing initiative. In a move that reflects the organisation’s increasing relevance and audience reach, Artbank’s new inner-city facilities will include a cultural event space for exhibitions, talks, community events and public programs. “The launch of Artbank’s new Melbourne operation signifies a critical moment in the history of the organisation,” said Artbank Director Tony Stephens. “The expansion will provide increased capacity to service new and existing clients in the region, allowing us to support more artists and in doing so increase the accessibility of Australian visual arts for more Australians. The new space will also allow much greater public interface, so we can better engage with artists and the broader public on Australian contemporary art”. Artbank was established in 1980 as a federal government program to provide direct support to Australian contemporary artists through the acquisition of their work. Today, Artbank holds one of the largest and most significant collections of Australian art in the world, and operates a successful, national self-funded art-rental program. “Artbank is in a unique position to not only connect audiences through our leasing program, but to also reimagine how a collection held on behalf of the Australian public can be an inclusive part of mainstream society, a truly democratic collection,” said Artbank Director, Tony Stephens. The move to the expanded new Melbourne premises is the latest in a period of significant change for Artbank, with the launch of new premises in Sydney’s Waterloo in 2014, accompanied by a popular program of exhibitions, fellowships, partnerships and events. For more information, visit: www.artbank.gov.au for details.